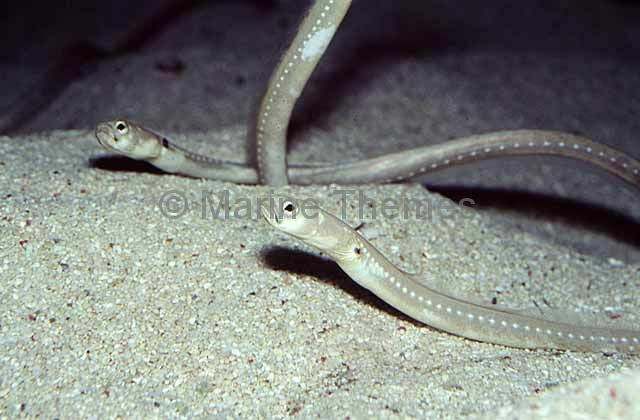 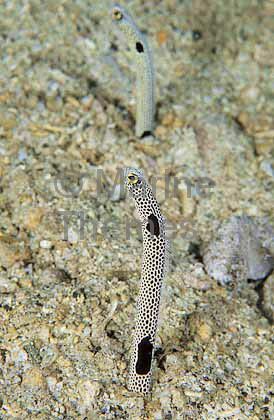 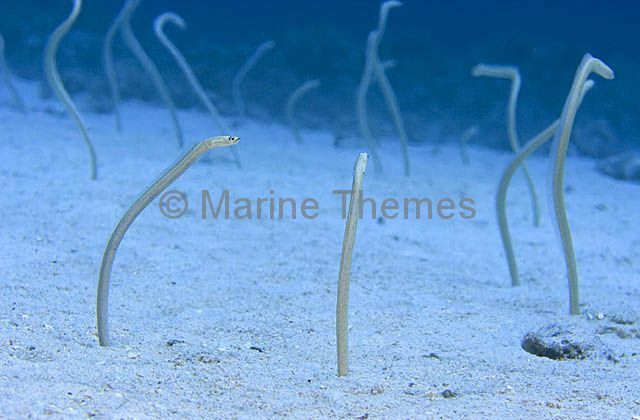 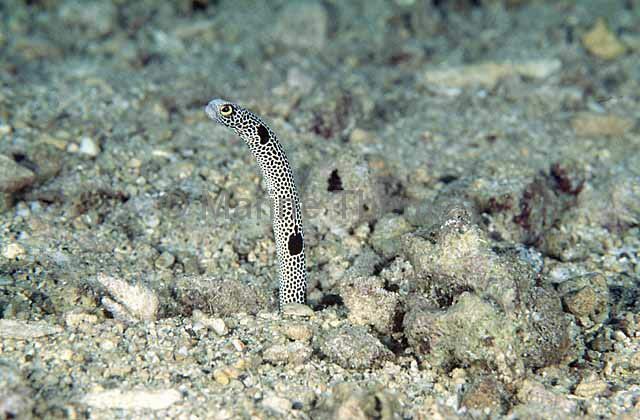 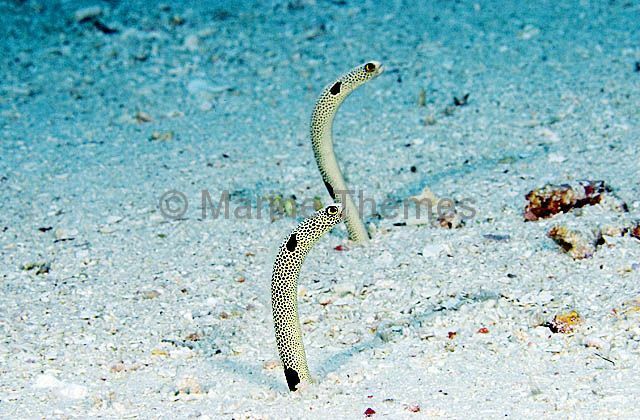 Spotted Garden Eels (Heteroconger hassi) emerging from sand burrowns while foraging for plankton in passing current. 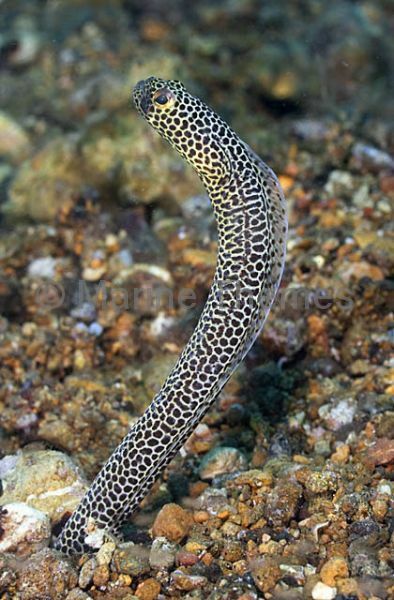 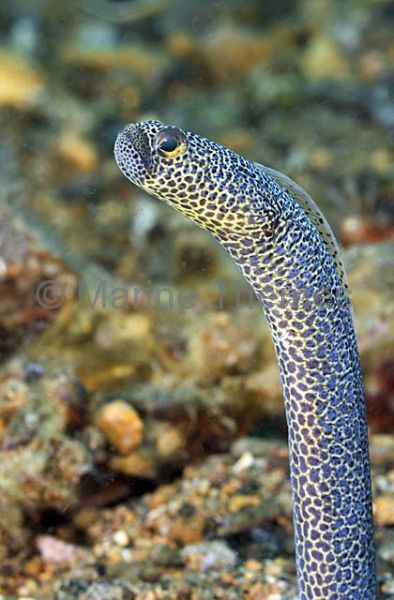 Taylor's Garden Eel (Heteroconger taylori) extended from it's burrown while feeding on plankton plucked from the passing current. 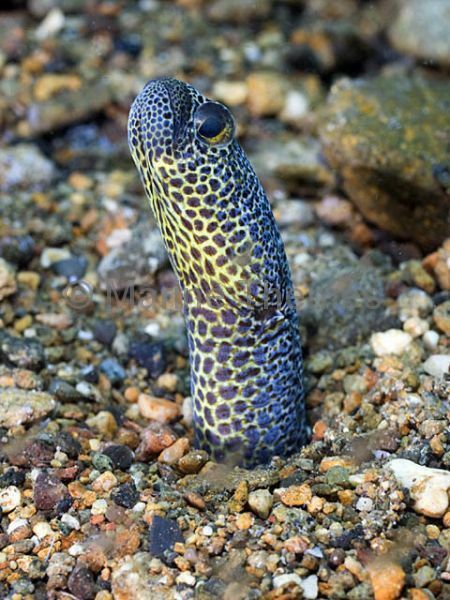 Taylor's Garden Eel (Heteroconger taylori) emerging from it's burrow.